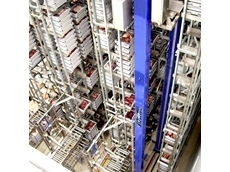 Industrial businesses often taken a piecemeal approach to materials handling solutions. Sometimes this approach is suitable, at other times it is not. Those specialising in sorting often take the piecemeal approach as needs arise, but the larger business in the sector are finding this is not enough today as they are more likely than smaller companies to engage in international trade or 24/7 operation. The international marketplace is a demanding environment and those not geared with the high level of sorting and materials handling efficiency can easily suffer. Many businesses are handling materials which are not of uniform size. In fact, many businesses handle dozens, if not hundreds of stockkeeping units (SKUs) which intensify the challenge. 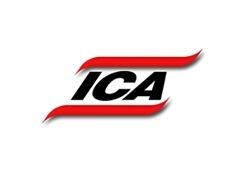 Australian materials handling specialist, Industrial Conveying (Aust) , is itself a business supplying capital equipment for materials handling to a significant export market. The company's managing director, Don Erskine, says materials handling equipment nowadays is top-end technology and those making investments must be mindful of setting a capital equipment platform for potential additions and ongoing integration. "Modern controls and software that manage materials handling systems are very powerful, but planning the mechanical aspects of materials handling is also a huge challenge," said Don Erskine. “For those handling stock in various sizes and quantities, the key is to establish a system that handles everything from the very smallest SKU (such as a letter or a parcel) to the very largest item such as two-tonne pallet. 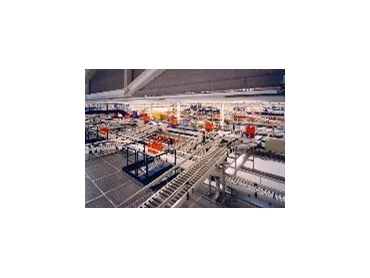 "This positions the operator to accommodate varying sizes and quantities as they come along, anything from 20 letters of one size through to hundreds of different sized pallets. "This is the challenge posed by the modern market, especially in areas such as third party logistics. Multi sorting, varying quantities and myriad of markets - and most of the time everything is urgent. "Therefore, a piecemeal addition to this type of capital equipment is not a viable option in many circumstances. Evidence strongly suggests turnkey design and setup better allows a business to capably handle its demands." Accessing the right technology is one part of the solution. The first step however is to analyse the need and ensure both the technology provider and the eventual user are heading in the right direction. A partnership approach to planning and implementation is more likely to cover all the bases. Partnerships do not exclude the supplier either. Since its recently global affiliation with FKI Logistex of Denmark to work as venture partners on projects around the world, Industrial Conveying is in a strong position not just as a designer and manufacturer but also has access to draw on the global technologies developed by this Danish giant. "Materials handling can be described today as an industrial science where many unit disciplines are combined to provide the turnkey scenario essential for companies undergoing growth and those heading into export markets," said Don Erskine. 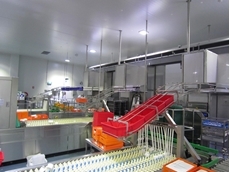 "For instance, one of the recent challenges for which we drew on FKI technologies was a turnkey project that included a specific area for sorting all types and sizes of SKUs (from tiny to large). "That sorting section was just the beginning. The next challenge was to minimise the length of time it took to store each and every item in the appropriate rack space. “So this sorting section fed into an internal logistics area where high-rise stacker cranes would allocate each item to a specific position in the racking. "Even a truck fleet can be used as part of logistics process. 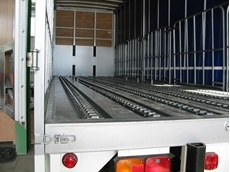 Setting up for optimised material flow patterns enables a company’s truck fleet to act as a means of mobile storage."